This Chipotle Chicken Panini is going to jazz up your lunchtime routine. 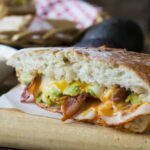 It’s loaded with chipotle chicken, cheese, bacon, avocado, and chipotle sauce for some bold and spicy flavor. This is a sandwich that will definitely please the adult palate, but can also be toned down to appeal to children. When I was given the opportunity to try Oscar Mayer Deli Fresh BOLD lunch meats, I didn’t want to pass it up. You see, Oscar Mayer brings back great childhood memories for me. When I was a child, Oscar Mayer Bologna was one of my go to snacks for after school. Either my mother or I would stack 3 slices of bologna on a plate and cut them into little pie shaped wedges. I’d peel a piece off one at a time and dip it into ketchup while I watched Little House on the Prairie. Weird, I know. 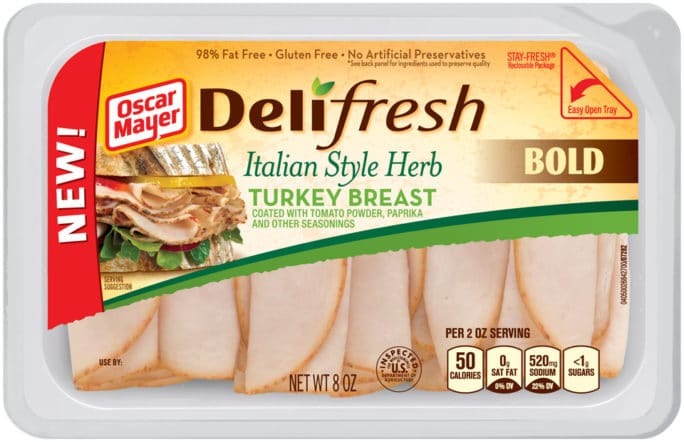 Oscar Mayer sent me a package of their new BOLD Italian Style Herb Turkey Breast to try and I must say it is delicious. Since I like my food spicy, I decided to try the Chipotle Season Chicken Breast in a Panini. I’ve added bacon, cheese, avocado, and an easy chipotle sauce, but the bold seasonings of the Oscar Mayer Chipotle Season Chicken Breast really make the sandwich. 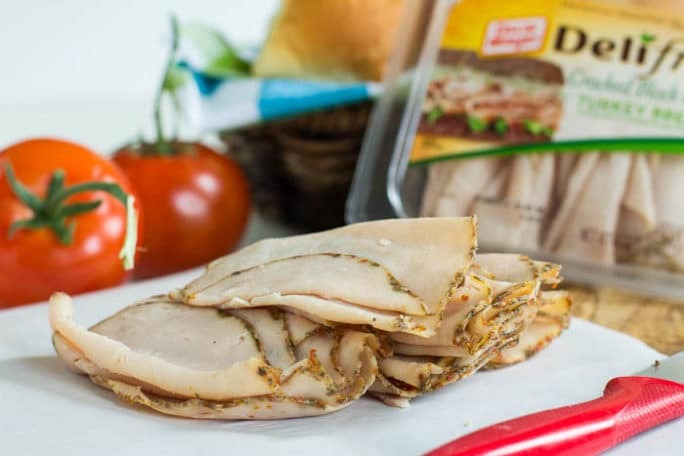 Because these lunch meats are so wonderfully seasoned, they make it easy and quick to make a delicious sandwich. 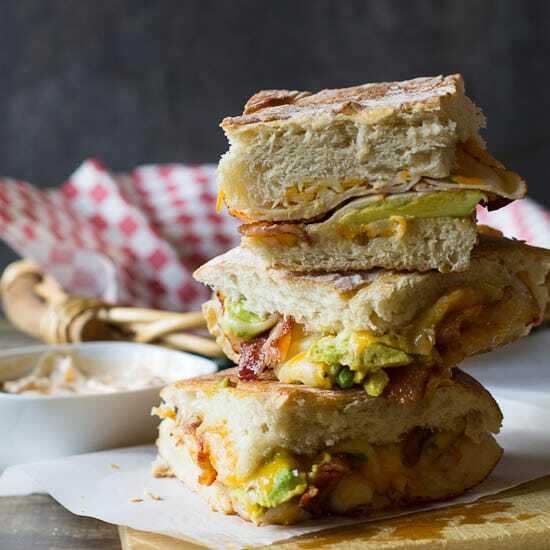 If you have kids who are a little bit finicky about their sandwiches, you can leave off the avocado and the chipotle sauce and be left with a delicious chipotle chicken grilled cheese with bacon. To make preparation easier, use Oscar Mayer fully cooked bacon. Flavorful, moist chicken with a BOLD taste, melty cheese, and crispy, salty bacon. Your whole family will yum it up. If you’re an avocado lover like me, the avocado adds wonderful creaminess and really helps cool the spice down. It’s delicious! Y’all be sure to follow Oscar Mayer on Twitter and Facebook to keep up with Deli Fresh BOLD news and inspiration. 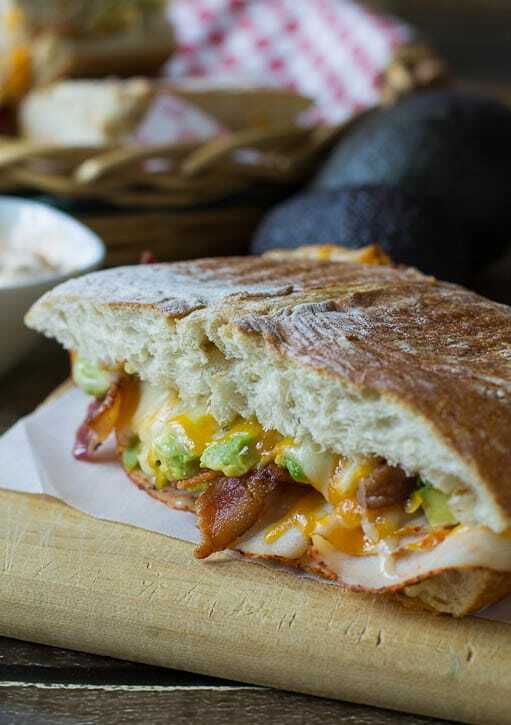 A spicy Panini made with Chipotle Chicken, gooey cheese, crispy bacon, avocado, and a chipotle sauce. Spread butter on 1 side of each piece of bread. Spread mayo on non-buttered side of 1/2 the pieces of bread. On remaining pieces of bread, evenly distribute cheese, chicken, bacon, and avocado. (Cheese should be the first thing you put on the bread so it will melt easily. Place mayo coated slices on top, buttered side up. If using a grill pan, place a heavy pan on top and cook 2-3 minutes per side, until golden brown. Alternately, cook in a panini grill until desired degree of doneness. This entry was posted in Sandwiches and Wraps and tagged chicken, chipotle, Oscar Mayer, panini, poultry, sandwich. Bookmark the permalink. What a great looking panini Christin! I can never resist a sandwich with avocado and chipotle sauce! Great Sandwich recipes are PRICELESS! It looks YUMMY! Thank you! Great flavors in this sandwich. Drool worthy! That panini looks fabulous and it probably can’t get better than this! I live on deli foods panini’s to be specific this really looks delicious great job! Wow, that’s what I call a sandwich! Did you see my recent post? Chocolate Chip Paradise Pie! Bologna dipped in ketchup!!! Whhhaaatt?! No worries…there is always lunch tomorrow!!! Pinned! Wow! That is a beautiful looking sandwich! YUM! My husband and I love anything having to do with chipotle so this sounds fab! You made one delicious panini there…I definitely want it! I love this spicy and s delicious looking lunch! I SO want to dig into this sandwich Christin! I would eat this for lunch or dinner!! Yum! YUM! I wouldn’t have though deli meat could be this tasty! 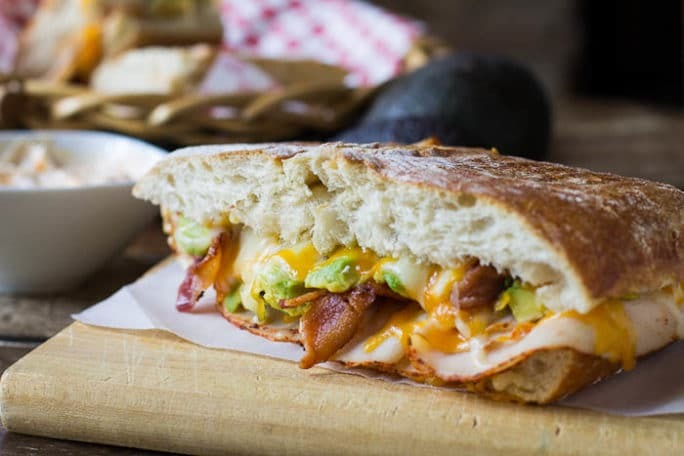 This is my kind of sandwich – bacon, chicken, cheese and avocado piled on a ciabatta roll. It doesn’t get much better than that!